Construction projects are commonly subject to litigation. These projects may involve large sums of money, complex building projects, lease agreements, and long timelines. Disputes over the project come from anyone involved, including builders, customers, tenants, homeowners, contractors, subcontractors, or even local government agencies. Construction litigation can involve expensive projects, multiple large companies, and experienced business people. Together these can make construction disputes highly contentious, where no party wants to concede anything that will weaken their bargaining power. As soon as you are aware of a possible dispute, conflict of interest, or any problems that may arise down the road, contact an attorney to make sure your interests are protected. Many construction disputes can be prevented with proper planning and business counseling before any contracts are signed. However, even with experienced parties, disputes often begin to arise shortly after contracts are negotiated. When a construction project begins to fall behind schedule, disputes can begin before there has been any meaningful breach. Alternatively, some construction problems may not even become known until years after the construction is complete. One party may realize later that a builder used non-conforming materials, violated building codes, or did not properly account for expansive soil. In most cases, it is better for you to resolve a dispute before it gets to court. Civil litigation can be a long and drawn-out process that could take months or years to be resolved. This can tie up finances and take time away from work and family. As soon as you have a dispute, the two parties should try and seek a resolution. If you cannot come to an agreement, then you should consider talking to an experienced Colorado construction litigation attorney. You may be able to resolve the dispute on your own, but waiting for an agreeable solution may only delay the work, costing more time and money. It may also escalate the dispute, preventing the parties from ever being able to work together in the future and reducing the chances of an amicable settlement. Contacting your attorney early on can help the parties come to an agreeable settlement and reduce your costs. One of the benefits of settling a case before it goes to court is that the parties can be much more flexible in terms of settlement options. Going to court generally, involves a claim for money damages alone. Negotiations between the parties can provide for a combination of remedies, such as money damages, completion of the project, contract modification, substituted performance, exchanges, or refunds. While business disputes can quickly get heated and contentious, often times the parties involved would like to continue a working relationship in the future. Contacting an attorney can help the parties negotiate an agreement without making it personal. By going through your attorney as an intermediary, the issues in dispute can be addressed directly without arguing over collateral matters. This helps to keep the relationship between the parties professional, especially if they want to work together in the future. Even with the best intentions, some matters cannot be settled without taking legal action. Having an attorney represent you during the pre-litigation phase will ensure they are aware of the issues in dispute so litigation can proceed in a timely manner. Waiting until the dispute goes to court before finding an attorney can leave you without the time you need to make sure you get an attorney who will represent your best interests. If a construction dispute cannot be settled, it may have to go to court. In Colorado, cases involving up to $15,000 can be filed in the County Court, while the District Court has jurisdiction to hear civil cases of any amount. The litigation process begins with the pleadings. The first party to file a complaint is generally the plaintiff, and the responding party who files an answer is the defendant. The defendant will respond with defenses and can include counterclaims against the plaintiff and cross-claims against any other party. 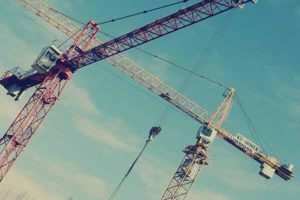 Importantly, before a construction litigation case can be filed, steps outlined in The Colorado Construction Defect Action Reform Act must be strictly followed. An experienced attorney can help you navigate those steps to ensure your claim is properly filed. After pleadings, the discovery phase begins. This involves the parties exchanging information including documents, physical evidence, interrogatories, inspections, and depositions. Once the parties have exchanged all relevant information, each party may have a better idea of the case and the specific issues involved. The vast majority of litigation is settled before it ever goes before a jury or bench trial. There are a number of reasons why each party may prefer settlement over submitting the case to a jury. Juries can be unpredictable. It is often preferable to accept a compromise that is assured rather than submit the case to a jury who may make an unexpected finding. Trials can also be time-consuming and expensive. Even after waiting months or years for a case to go to trial, a lengthy trial can greatly increase legal costs and require weeks away from work. After a trial, the judgment may not be final as either party may choose to file an appeal, further delaying a conclusion to the dispute. Alternative dispute resolution (ADR) is the name given to a variety of dispute resolution techniques apart from traditional court-based litigation. This includes mediation, arbitration, neutral evaluation, and collaborative law. These options can be mandated by contract, agreed upon by the parties, or be ordered or assisted by the courts. There are a number of benefits to ADR that make it beneficial for both parties involved in construction litigation. In ADR, the parties may have more flexibility to craft an agreeable conclusion that both sides approve. Traditional court-based litigation often involves a winner-take-all approach. Through ADR, each party can negotiate for some remedy, and in the best case scenarios, ADR can lead to a win-win for everyone involved. ADR also allows the parties to settle their disputes privately. Court records are generally open to the public. The judge’s decision and records submitted on behalf of each party may be later searchable by other parties even if the litigants would rather keep that information private. Private ADR allows each party to keep evidence out of the public record. Civil courts are often overburdened, with court dates and trials regularly pushed back for months. It can take a complex construction litigation case years before any action is taken on the case. Alternative approaches can be much undertaken much more quickly and at a reduced cost for everyone involved. Whether ADR is the right approach for your dispute will depend on the specific facts of your case. Talk to your experienced Colorado construction litigation attorneys to help decide whether mediation or arbitration might be right for you. If you are involved in a dispute over a construction project, the Olson Law Firm will fight for you. We have successfully represented our clients in construction litigation and construction contract disputes. We will provide you with the personal attention you expect and deserve and always keep the lines of communication open. It is our dedication and commitment that makes the Olson Law Firm one of Colorado and Wyoming’s preeminent law firms. Contact our office today.